Turbines also age. Read more about our refurbishment of water turbines and peripheral equipment. Even a well serviced water turbine will need a thorough refurbishment after long enough time of use. The reason can be wear on rotating parts or the need for environmental adaptation of an aging power plant. 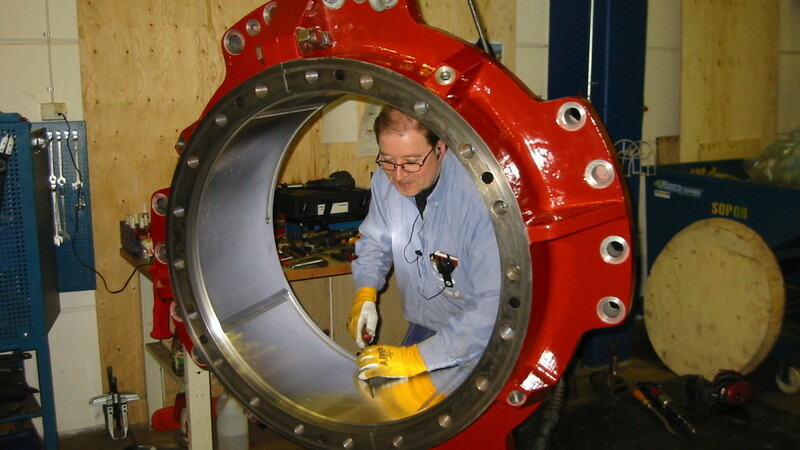 TURAB take overall responsibility for the refurbishment of mechanical parts often including dismantling on site, runner replacement, turbine shaft refurbishment, actuator, discharge ring, wicket gates, bearings, gear boxes, butterfly valves, blasting and painting of waterways, reassembly and commissioning. 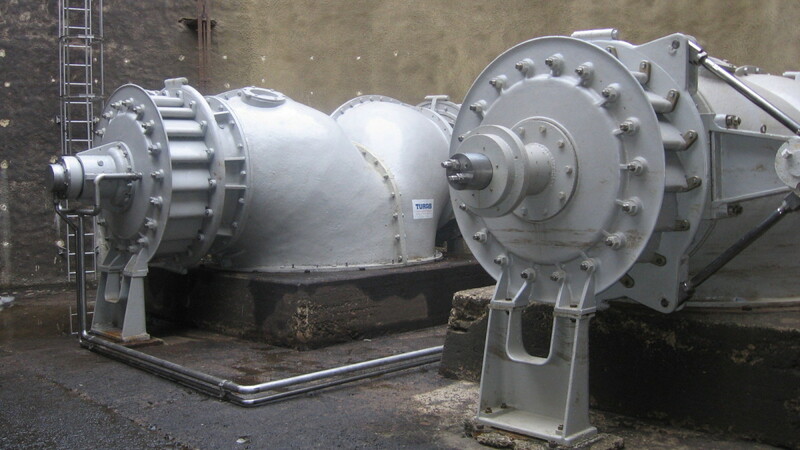 We work principally with Francis turbines, Kaplan turbines and axial turbines, but we can also handle other variants. We replace existing runners with modern stainless Francis runners or oil free Kaplan runners. This has been a core business at TURAB for over 30 years. Often a significant increase in performance is achieved, even if the shape of other parts of the waterway remains unchanged. A process of refurbishment begins with a visit on site and a tender specification. If the plant is still in operation, as much as possible of the design work and manufacturing will be done before dismantling the turbine. Refurbishment is done in TURABs workshop in Nässjö, with minimal plant downtime. Thereafter the turbine is reassembled and commissioned by our turbine engineers. Ringaby water turbine of type Twin Francis. Before refurbishment. 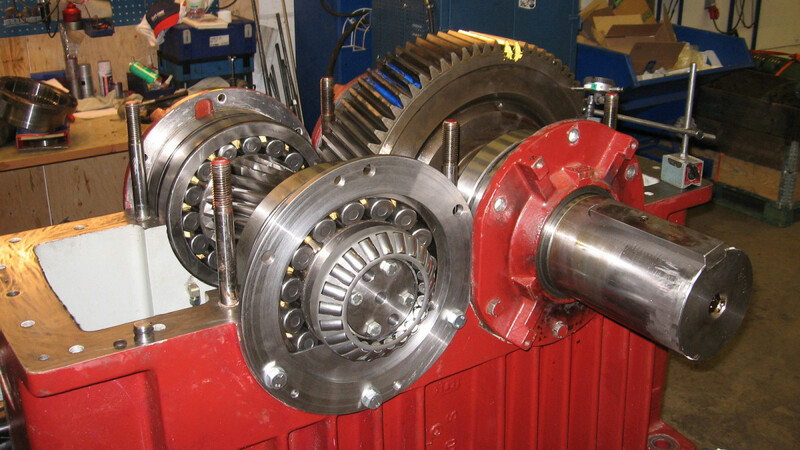 Ringaby draft chest with both Francis runners mounted on the turbine shaft. After refurbishment. 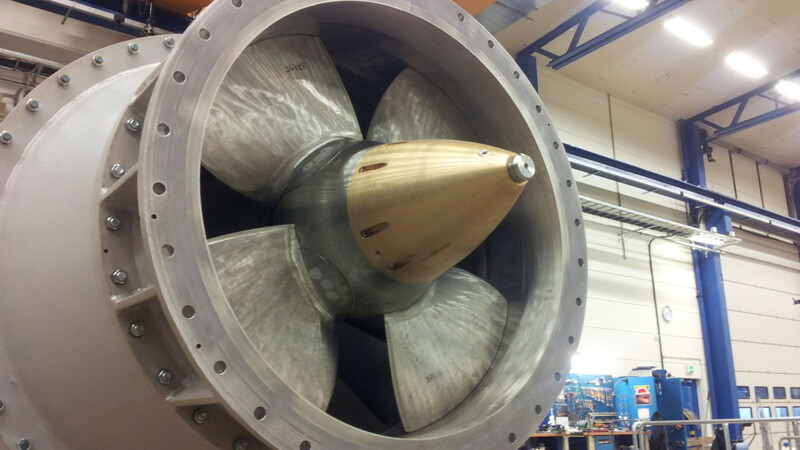 Complete refurbishment of typical Swedish water turbines of type Twin Francis. Final adjustment of guide bearing for Granfors. 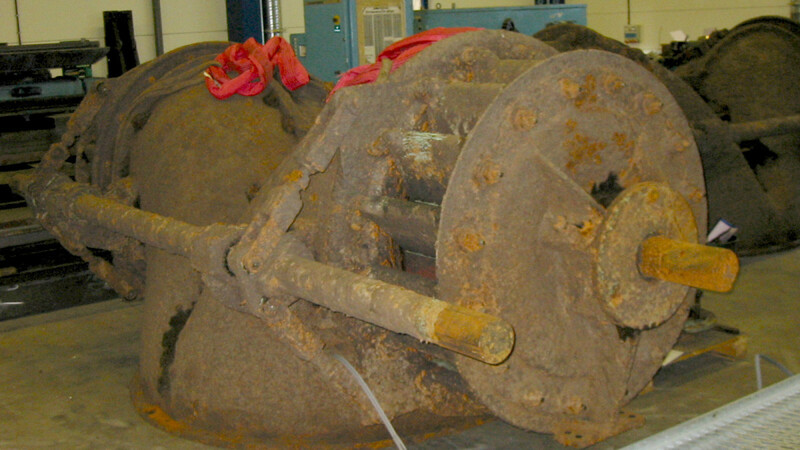 Gearbox for Bornforsen power plant. TURABs versatility in the workshop benefiting our customers. Modern runners in old plants is one of TURABs specialties. 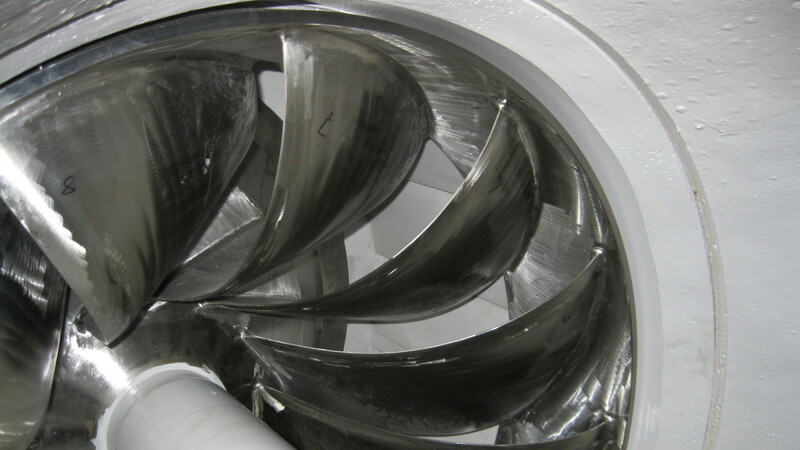 Refurbishment or replacement of runners in Kaplan and axial turbines is one of our strengths.